Henderson, the second largest city in Nevada, has experienced an incredible period of growth over the past twenty five years. According to census reports in 1990, Henderson, NV had a population of approximately 65,000 residents, and the latest reports have the population at almost 275,000. That is one impressive rate of growth! Master planned communities such as Anthem Country Club, Black Mountain Vistas, Green Valley Ranch, Inspirada, Lake Las Vegas, Tuscany Residential Village, and Whitney Ranch, to name just a few, make this area an incredible place to live and work. In addition, the City of Henderson has seen an explosion of new businesses being created cementing Henderson’s reputation as one of the best pro-business environments. Whether your company is engaged in the construction field, either as a General Contractor or as an artisan/sub-contractor, a product manufacturer or distributor, in the health care field, consulting, retailing, or one of the many diverse fields that do business in the Henderson, NV area, having the proper insurance in place is an important first step in protecting your company’s financial well being. If your business is in the construction field, building new custom homes, performing tract work, remodeling, renovations, restorations, or doing commercial builds or tenant improvement projects in the Henderson, NV area, the experienced professionals at PJO Insurance Brokerage can help you create the proper insurance program including insurance coverages of General Liability, Pollution Liability, Inland Marine, Workers’ Comp, and Umbrella/Excess Liability Insurance, to name a few of the coverages that your construction firm should consider for your insurance program. If your Henderson, NV company conducts business as a Product Distributor or Manufacturer, or both, in the areas such as medical products, health products, diet supplement products, industrial products, or one of the numerous products on the market, PJO Insurance Brokerage has access to several Product Liability Insurance markets to assist you in finding the proper coverage and insurance carriers to protect your company. Soundcloud file about business insurance in Henderson, Nevada. If your Henderson, NV company is in one of the professional services business such as a Consultant, Project Manager, Agent, Web Designer, Media Consultant, Event Planner, or one of the many companies engaged in the business of advice, professional or expert professional services, then acquiring the proper insurance coverage is vital should the unthinkable happen–a claim or lawsuit filed against you or your company from a client alleging an error or omission or a negligent act performed by your firm. PJO Insurance Brokerage has numerous markets for this type of Professional Liability Insurance, and we would be happy to assist you in obtaining the proper insurance coverages for your firm’s requirements. Does your Henderson, AZ company have a board of directors? If the answer is yes, then acquiring a Directors & Officers Liability Insurance policy should be a top priority. This particular type of professional liability coverage can provide protection in the event of any actual or alleged wrongful act, breach of duty, misleading statement given, or omission by your company’s board of directors and officers. This professional insurance coverage will apply to directors and officers of for-profit companies, nonprofit companies, and educational institutions. If your company is like most, you will have some kind of presence on the web, whether that is on Facebook, LinkedIn, Twitter, Company Blog ,or conducts any type of transactions via web which involves debit/credit card information or your customers’ vital information, then it is extremely important your firm acquires a Cyber Liability Insurance Policy. 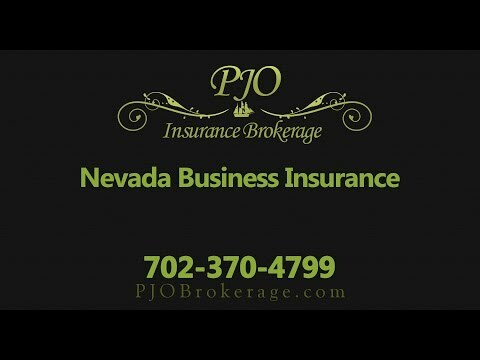 At PJO Insurance Brokerage, we understand that with the current market new and exciting companies are being formed each and every day in and around the City of Henderson, and each one is unique and will need their own insurance program. PJO Insurance Brokerage has the expertise and experience to help you put the proper insurance program together for your company’s particular needs. We look forward to working with you in the near future.